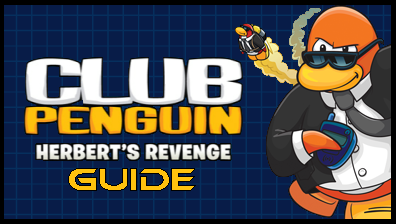 Club Penguin Guides, Tips, Cheats and Secrets for you! Please note: this message is classified and should be viewed by EPF Agents only. Elite Agents – the island needs your help. We have a defense plan – but we need to strengthen our numbers! postcard to any penguins you think are up to the challenge. What do you think of the top secret image? Let us know in the comments and keep watch for any suspicious activity. What the fish sticks IS that?! Looks mean whatever it is… Maybe a computer bug or a new vehicle for the bad guys? Or it could be a robot! The results of Coins for Change is on the bullion at the Beach! Check how much we all donated! 12,261,193,800 coins! 😮 Fish sticks that’s over… 12 billion coins, correct? Ruby and the Ruby’s back! Yay for my favorite stage! I really think they should make a sequel to it. Anyways, the guide to finding the ruby is below. Or you can rely on the script! Same old in the catalog. Click the doorknob for the Dark Detective Coat and pull down the very back for a hidden background! What do you guys think about a sequel to Ruby and the Ruby? January Penguin Style Calalog Secrets! Today I’m going to try something different. I’m going to post only the new secrets in the catalog. Please understand, it’s a lot easier for me. First secret! Click the paint bucket on the penguin’s head for both Viking Helmets. Four times for the Blue Helmet. Second secret, click the tree for the Big White Scarf! Click the blue lights for the Puffle Pullover. Forgot it last time..
Click the bubbles for the Scuba Diver outfit! Any thoughts on the catalog? Club Penguin Times Issue #273: EPF…Revealed?! News Flash! The final number of coins has been counted! Coins for Change results are at the Beach! *Please note. The following article is for Elite Agents only. This has to be the most shocking article I’ve ever read! No lie, this is majorly serious. What’s up with this?! Who told the media about the EPF? It’s all too sudden.. Do you really think it was the Director, or was someone else’s flipper, or paw, involved in this matter? *suspicious look* EPF page for more info..
An expedition sounds fun.. I wonder if it’ll take penguins minds off the news about the EPF. Eh.. doubt it. Any thought about this week’s newspaper? Comment below! The Ice Rink is back! Just in time for the holidays! Is anyone planning on having a big game of Ice Hockey? There’s also a new post from the Club Penguin Team. Another Reviewed By You! food. Christmas is my favourite time of the year! Thanks everyone! One of Club Penguin’s biggest holiday traditions is Coins For Change, so this week we want to know – which Coins For Change cause did you donate to and why? Club Penguin Times Issue #269: Holiday Party! I’m sorry for the late update. I had someone over yesterday and wasn’t able to post. The Holiday Party is here! Yay! Rockhopper’s back, and he’s encouraging everyone to donate! Good ole’ Captain Rockhopper! Upcoming events! Good luck to everyone participating in the Igloo Contest! Until next time, Waddle on and discover new adventures! Ho, ho, ho! The Holiday Party is off to a full swing! Everything’s so decorative and pretty.. How can you not be in a Christmasy mood? Okay, so I thought I’d do something different for this update. I’ll turn it into a poem! Ready? Here we go! ♫ When I stepped out of my igloo, my eyes grew wide. The Holiday Party had started, what a surprise! All around me were lights, decorations and snow. There were so many directions for me to go! I headed first to the Dock, where penguins were skating about, and saw a pin near the water. No, it wasn’t a trout. After picking it up, I decided to explore, so I visited the Dance Lounge, where Santa’s “elves” were running the “store”. There was an entrance and sign that said, Santa Sled, Win a Prize!, so I went in to find out his giant sled’s size! I pushed the “Fly” button and we flew into the air. Over every chimney dropped the presents filled with love and care. After I had delivered 15 presents in all, a gift popped up! No, it wasn’t a doll! It was a Santa bag, filled with little toys and trinkets. Now I can be Santa Claus for Christmas! I decided then to head for the Beach. I heard Rockhopper had returned and there was a coin goal to reach. Down in the Ship’s Hold he had brought some rare things. When I bought one of each, my coins went, cha-ching! I played Treasure Hunt for a little before, I went to the Lighthouse, where there were coins GALORE! Coins, coins, as far as the eye could see! Seeing that many coins gave me much glee! However, even more coins were needed. For Club Penguin’s goal, was even higher then ever believed! Up to the top, the Beacon all the way! Let’s help Club Penguin reach their goal today! Right after I saw their goal, I headed to the Beach with enough coins to fill a bowl! I had three choices of which I could pick, but I couldn’t just pick one, that would just make me sick! From 100, 500, 800, and 5000 I could choose, how many coins to each cause, I was willing to loose. But all were important, so I gave quite a lot. Enough to fill up quite a lot of pots! Finally, there was a secret path in the Plaza and Town! And guess what? A huge Christmas tree was found! Snowballs I threw were magically turned into decorations, which I threw on the tree, making a whole new creation! Click Here to Play Club Penguin!